The issue of pregnancy has enormous potential for personal but also for social pressure - even without looking at the fact that I am a young woman with an above-knee amputation. After the amputation of my right thigh more than a year ago, I notice that even more. But let start from the beginning... For me and my husband it had long been clear that we wanted children. Soon after out wedding the questions from family and friends increased; they wanted to know when we would have children. I know, for most people this seems like the next logical step in life. And for a long time, there was no question for us: Yes, we wanted to have children soon. But then life got in the way. My above-knee amputation more than a year ago turned our life upside-down (here is the link to the full story). Suddenly we had to restructure our everyday life, completely rethink it, change the processes we were so accustomed to and become immensely creative to handle our daily challenges. Suddenly there was so much to learn, so much I we had to cope with that the thought of having a child moved to the back of our minds. It was not only our everyday life that changed, but also the expectations and desires we had for the future. With my amputation and my new prosthesis there were suddenly new opportunities. Things I could only dream of, things I had almost given up on were suddenly possible again. As a consequence I set out new goals, both professionally and privately. There was chaos in my head. I could hardly decide where to start. I wanted everything at once, wanted the full on experience, wanted to try out new things. The thought of having a child started to dade. We were far too busy with this new world that had suddenly opened its door to us. And friends and family didn’t make this decision any easier. We found ourselves somewhere between their excitement and euphoria and the constant questions about when we plan to have children - as if it were the easiest thing in the world to raise a child with a prosthesis - and their almost fearful and astonished expressions, whether we are really up to having children despite my amputation and the limitations this places on my day to day life. How would we handle the challenges? How would we overcome all the hurdles? At the moment there are still way too many question on this issues. With my prosthesis I am still at the very beginning, even after one year. There is still so much to learn and new things to try out. I know that not everything I try will work out the way I want it to. Sometimes I will fail. Is there really already room for a child in our lives; for a little human being who needs our undivided attention? I am sure there would be, after all, you grow with your challenges and we have a great family that is ready to help us at every turn. But the question is whether we are ready and whether now is the right time for us. There are other worries in the back of my mind. I am not even sure of I can have children after my illness and the chemotherapy I went through. After all, there are plenty of women who - even after a serious illness and the diagnosis of being infertile - become pregnant, give birth and take care of their little baby. I often find myself thinking about potential obstacles knowing that they don’t need to be obstacles at all. But these thoughts are present regardless of how beautiful it can be to have a child and to be able to raise a little human being. Most days I am perfectly fine with my prosthesis. I put it on in the morning and take it off in the evening when I go to bed. The day runs smoothly. Despite the increased effort I takes to get through the day, I can go about my everyday life without any worries. But then there are also other days, sometimes even weeks when things are - literally - not going well. When the fit of the socket is far from ideal, when the volume of the residual limb fluctuates or the phantom pain knocks me out. It's only a few days, but they exist. And I am wondering how I will deal with them when we have a child; when I can't get up; when my walking is insecure? Finally, after all the excitement of the last few years, we have arrived in a kind of daily routine that gives us the opportunity to relax and regain our strength. A baby would mean a whole new everyday life. Again embracing a new change and adapting to a new situation. 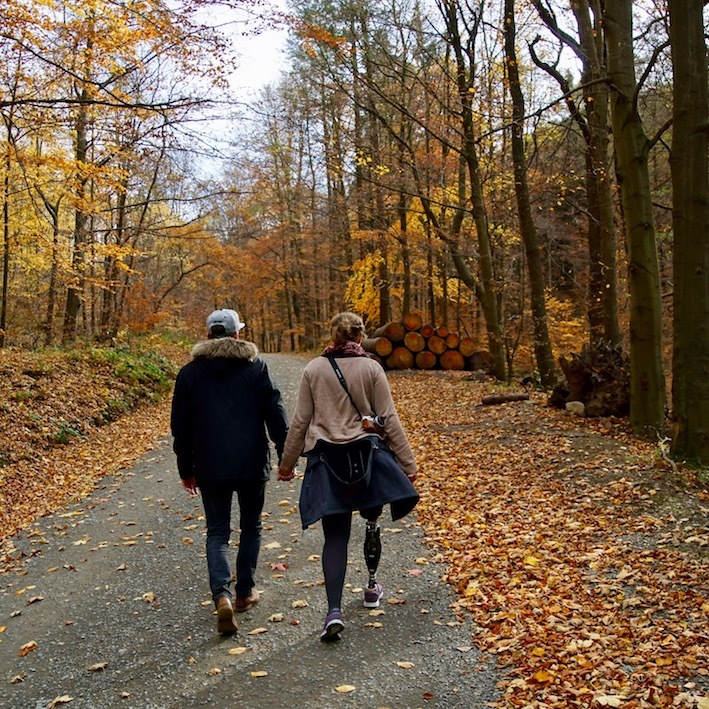 To have a well-fitting socket that allows for comfortable and less strenuous walking is both essential and not an easy task. At the moment we are not yet there. Again and again adaptations are needed and we change things and try what works best. With a pregnancy we would be back to square one. Water retention or weight gain can mean that I gradually grow out of the socket and will regularly need a new one. After the all the hassle of the last year, with hours on end with my prosthetist, countless trial and error attempts to find the perfect fit, starting all over again is not a tempting thought. Fortunately phantom pain is not a big issue for me. The fear that this might change during pregnancy or when going into labour are there. In everyday life I can deal relatively well with phantom pain. Relaxation and focus make the pain more bearable. However, I am wondering if/how this will change with the pregnancy and later on when giving birth. But maybe I will have enough other things on my mind so that I won’t find the time to about phantom pain. And then there's the thing called a job. I wonder if I can go to work as usual during pregnancy. 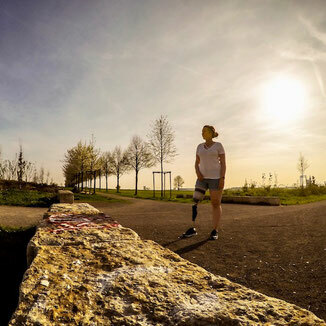 The first time I went back to work with my prosthesis was a huge change for me. I had to learn to manage my strength, to listen to my body and to take a break when needed. As in my everyday life, I had to become creative and solve certain tasks differently from what I was used to. Many things still cost me much more energy, more efforts, even after a year. Will I manage to cope with the additional strain on my body that a pregnancy brings with it? But then there is this other side. The pink world you imagine as a couple when it comes to having a child together. Bright children's eyes that only make the smile seem bigger, the first steps, the first words, the time together as a family. The beautiful moments that are worth all the extra efforts. Those moments that quickly let you forget all your worries and the difficulties you had to go through. Guest post by Jasmin Lindenmaier. 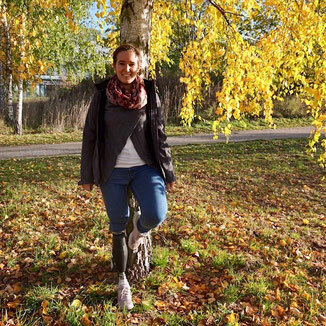 Jasmin, an above the knee amputee, is a regular contributor the The Active Amputee. 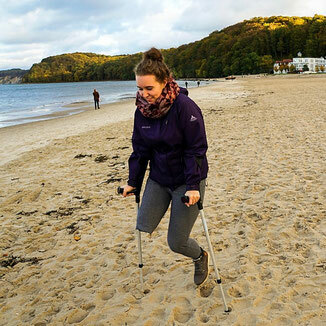 In 2016 she decided for an amputation to live a happier life free of fear and anxieties, closing a chapter in her life and set on a new path, exploring the world and taking on new adventures. You can follow her on Instagram @prostheticlife.